This current update includes monthly information for January-September2013 and summaries for July 2005 – 2012. Five prisoners were granted parole inSeptember, anultra-conservative grant rate of1.9% out of a total of 262decisions. This extends the 2013 parole rate, 2.1% at well less than the 5.6% rate of 2005-2012.The Virginia Parole Board Monthly Decisions can be accessed at www.vadoc.vpb. As always, the numbers have been carefully checked. Of interest is Parole Board reporting on “case type” for parole decisions starting in May 2013 of persons granted and not granted parole. In September there were20geriatric, 4boardand 238regular parole reviews. Five regular review inmates were granted parole. During May-September 2013 there were60 geriatric reviews with 4 paroles (6.7%), 35 board reviews with 1 parole (0.3%) and 1,323 regular reviews with 29 paroles (2.2%). One possible explanation of a higher release rate for geriatric prisoners is consideration that many of the age 60 and over prisoners have already served terms longer than would have been required under “old law” (prior to 1995) sentencing guidelines. Prior to May 2013 geriatric parole was used sparingly with only a token handful during the previous 10 to 15 years. Twenty-one per cent of prisoners denied parole in September were 60 years of age or more including some prisoners in their 80”s. 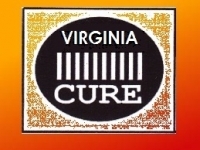 By taking reasonable risks an effective parole board can help prisoners return to productive lives as citizens and lower costs to Virginia taxpayers while also responsibly insuring public safety.The current rates of granting parole appear to reflect a very limited and unusual lack of confidence by the Parole Board in the ability of the Department of Corrections (DOC) to rehabilitate prisoners for their return to society. Retribution seems to be the overriding priority. The number of parole board decisions in January-September, 2013 was up by 11% from January-September 2012.This trend may not continue since the number of parole decisions in Virginia have steadily declined and dropped by -17.4% in 2012; -7.4% in 2011, and -5.2% in 2010. Some decline annually with the abolishment of parole effective January 1, 1995 is to be expected with an aging population of “old law” prisoners. It may well be that policy, administrative or communication changes by the Parole Board or the DOC in past years resulted in many eligible prisoners not bothering to apply for a parole hearing,given the depressing number of parole grants.New reporting requirements and a willingness to consider geriatric parole cases starting in May 2013 may be changing this mind-set. September 2013Parole Board decisions involved 41 persons 38 years old or less who presumably committed crime as juveniles. Prisoners sentenced to felony offenses committed on/after January 1, 1995 are not eligible for parole except for the aforementioned geriatric exceptions. Juveniles who committed felonies under age 21 after January 1, 1995 may be eligible for parole as youthful offenders; their ages would now range from 21 to 38 years of age. In September 2013,14%of combined Parole Board decisions regarding parole decisions and parole revocations involved persons in this category. There were 17parole revocations in September 2013. The overall number of revocations for parole violations in2012 was69%of those of 2011 and well below the levels of 2008-2010.To date 2013 parole revocations are about equal to those of 2012. Two prisoners granted parole in September 2013 were black;black prisoners comprised 65% of parole denials.Eleven of 13 parole revocations in September were black.Blacks made up 60.7% of Virginia Department of Corrections prisoners as of December 30, 2011, reflecting a long history of criminal justice imbalance towards incarcerating minorities in the Commonwealth. Blacks make up less than 20% of the population of Virginia according to recent census information.VA CURE estimates that over 70% of “old law” prisoners eligible for parole are racial and ethnic minorities. Critics suggest poverty; lack of access to legal resources and a consistent level of racial bias at all levels of the criminal justice system likely contribute to current incarceration levels for minorities.